Get in touch with Payless Cartridge for solving all printer and fax related problems in Vancouver. We have the skill and the experience to handle printers, copiers and fax machine of any brand and model and come up with effective solutions. Payless Cartridge ensures you get an on-site call, saving you time and money and get your machines repaired and working within a day. We do not charge extra if it takes another day to get the machine working perfectly. In case the problem is persistent or recurrent we get it to our workshop at our own cost and deliver when it has been thoroughly repaired. Our staffs are trained and are equipped with all necessary machines and material for completing their task effectively and fast. Payless Cartridge has earned positive reputation over the last 13 years for its reliability. You can trust our technicians to give you a clear quote for the job they undertake and supply you with genuine spare parts. 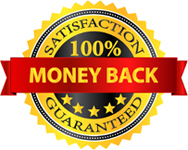 In case you are dissatisfied with our service we redo it for free. For effective fax repair in Vancouver contact Payless Cartridges, a trustworthy name. We serve small and medium sized business and residential needs as well for fax machine repairs. HP, Canon, Dell, Brother, Dell, Xerox and other reputed brands. If you want get the optimum out of the machines that you have, we suggest that you get them maintained at a regular intervals. Payless also has maintenance service. Our staff will visit your home or office at fixed intervals and do the necessary alterations to keep your machines running smoothly. This saves expensive replacement costs, and the hassle of stalled work due to a faulty machine. We have extended our services to Burnaby.